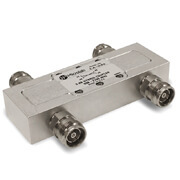 Hybrid Couplers - Talley Inc.
3 x 3 Hybrid Coupler, CM-80 Series. 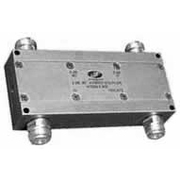 Three Way, Low Loss, 4.8 dB Hybrid Combiner. 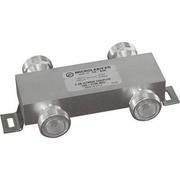 Outdoor Rated, Low and High Wireless Bands, and Convenient Connector Spacing. 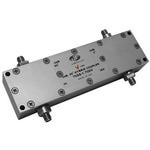 3 dB Hybrid Coupler, Special Guaranteed Low PIM Wireless Band Versions, Narrow and Wide bands. 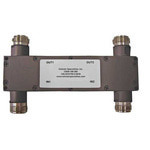 High Isolation, Low VSWR and Loss, Single and Dual Band Ranges Tetra, SMR/PMR, Cellular, PCS, and UMTS. RoHS Compliant. 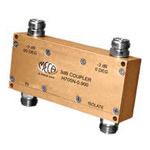 3 x 3 Hybrid Coupler, CM-80 series, Three Way, Low Loss, 4.8 dB Hybrid Combiner. 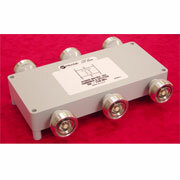 Outdoor Rated, Low and High Wireless Bands, Convenient Connector Spacing.